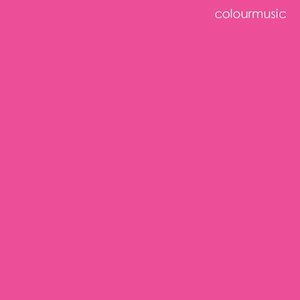 Colourmusic have returned for another round of confusing the hell out of folks and making them like it. I don’t know what the pH level is of the water in OK, but I’m thinking it’s more acidic than alkaline. They’ve an ambitious and cerebral nature that is difficult to place squarely in a box to categorize, yet as a band, they are all the better for it. Questionable titles aside (their first album was impossibly called F, Monday, Orange, February, Venus, Lunatic, 1 or 13), My___ Is Pink is, by genre, an indie offering but one with distinct tendencies towards overwhelming density and hazy ambience. A 14-track album of varied schemes but don’t let that scare you; this is an artful rock album and the experimental juice makes for high and deep sensory stimulation. Colourmusic’s formula hasn’t deviated between albums. Take lead off single “You For Leaving Me” it purports the familiar thrust of dense fuzz found on their first album as well as Ryan Hendrix’s curious and reed thin vocals, flavored with the 70s remnants of Wild Cherry or The Average White Band. If you feel the urge to bust out and do The Hustle, I guarantee you’re not the first and you won’t be the last. “The Little Death” is a 10 minute opus of crush that pays homage to the likes of A Place To Bury Strangers and early Black Rebel Motorcycle Club, so thick and fuzzed out in percussion, driving guitars and recessed echo vocals before paring back to minimal fare of spacey instrumentalism. It may be as close to a band schematic as they may ever come as it encompasses just about every aspect of their style.